This is one that I have always wanted to do. A few years ago I paddled the course, I had always struggled to co-ordinate the race into my yearly schedule. My previous experience in the Pailolo Channel. This year the ducks lined up nicely and I jumped on a plane and made my way to Hawaii. Arriving in Honolulu on the Friday before the race I was greeted by an almighty storm. Horizontal rain and lots of it, winds well in excess of 25 knots with all this expected to hang around for race day, the next day. I lobbed in with local Fenn Agent a former National Kayak Coach, Guy Wilding. Guy and I spent a fair bit of that night bailing his house out of the floods that had been destroying various parts of Oahu and neighboring Islands that day. The sweet scent of wet carpet hung around in the air as we woke the next morning for our plane ride to Maui. 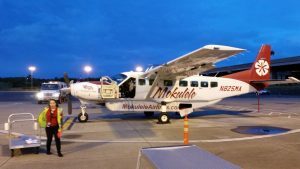 Some of the local surf ski community were on our flights across firstly the Kaiwi Channel to Molokai then the Pailolo Channel from Molokai to Maui. The little single engine propeller driven plan struggled off the tarmac into the blustery Easterlies and a thick blanket of clouds filled the sky. It is always a little daunting in those small planes making your way into the clouds until you break through the top and into the bright sunlight and the bouncing stops. 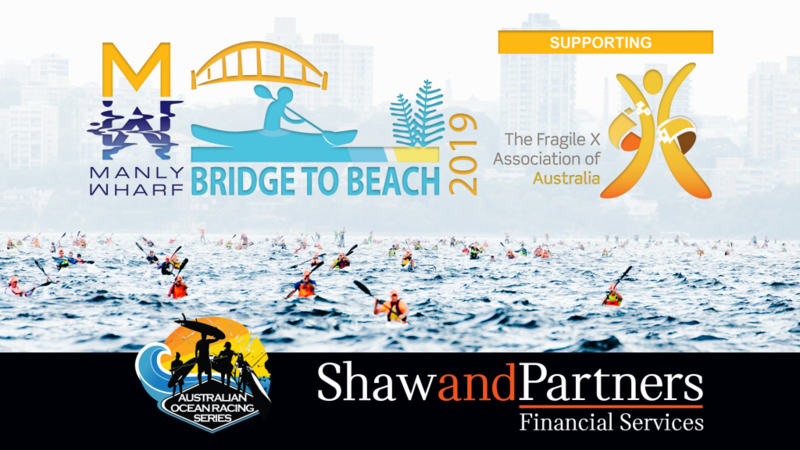 Prior to the race, organisers had sent out a lot of updates warning paddlers that conditions were going to be “expert only’. A quote I received from them the day before warning less experienced paddlers about the predicted conditions is one that I will use in the races I organise in the future. It went like this “Better to be on the ground wishing you were in an airplane than in an airplane wishing you were on the ground”. Looking at the whitecaps below from the comfort of our eight seater I knew where I would rather be. Our flight took us to Molokai first, we landed and swapped planes for the second leg across to Maui. Seated in front of me was Hawaii paddler Brady Piercy. Brady is a pilot for Hawaiian Air so I was guided by his expressions on if I need to panic or not on take-off from Molokai. The calm look on his face gave me the reassurance that I was going to make it to the start. We had booked our flight through to Kapalua which is the closest airport to the race start on the North-Western Shore of Maui. Once again I was impressed with the sea state below as we made the crossing. I was pretty excited about this race. Why wouldn’t I be. The wind was blowing in excess of 20 knots from the East and was heading West, the current was going the right way and all that movement compresses between three Islands, Maui, Molokai and Lanai. Over two hundred paddlers were gathered on the beach at Flemings. A solid 2 meter swell was hitting Honalua Bay just up the road and you could see some of the local crew hooking into some perfect waves that Honalua is renown for. Flemings was slightly smaller although still a challenge for those that don’t launch their craft through surf very often. A few spills and a few backshoots later the first start was on the line. Ladies and teams made up the first group and they took off ten minutes before our start. This year saw a reasonably strong surf ski contingent. Austin Kieffer who had made the dais at The Doctor was in town, locals Pat Dolan and Zsolt Szadovszki were on hand along with Carter Johnson race organiser of The Gorge, Borys Markin, Brady and numerous others. After a bit of messing around on the beach we were in the water and on our way to Molokai roughly forty kilometres away. Around one hundred and thirty paddlers made up the second start mostly OC1s although this year was, without doubt, the biggest turn out of surf ski paddlers. This race is one of those races where you feel like that after fifteen minutes you are completely alone and unless there is a focal point like a buoy or marker, there is no one else out on the water except for you. With conditions the way they were we quickly moved past the group in the first start and for me I didn’t see another paddler, except for a small glimpse of Austin midway, until Kainoa Tanoai from the big Island caught me on his OC1 right before the finish. The Pailolo produced that day. In fact, sometimes the runs were so good that you felt like you were cheating. The further you get down between Molokai and Lanai the straighter and more regimented the runs get. You can sit for tens of seconds and just a slight adjustment of angle on your ski means your drop into the next one no paddle required. For me I didn’t know if I was leading or coming last. I thought that at least Austin was in front of me and probably Pat also. I was catching most of the runs I could and you can only go as fast as the runs so I had the feeling I was doing pretty well. With the jetty at Kaunakakai in sight I noticed an OC1 on my right. The leaders of the teams that had started ten minutes before so I thought it was them.. Nope, there was no boat alongside him which teams need for their changes and instead of me catching him, he was paddling away from me. For the next few kilometres I battled it out with Kainoa and in these conditions, the OC1s are as good as the skis, in fact in these conditions you can almost boogie board down those runs and hold the same speed as a ski. This was a groundbreaking moment for me because I had never been overtaken by an OC1 and not only overtaken, I had to work my ring out to stay with him. It wasn’t until it flattened out near the very end that I finally got away from Kainoa only to be passed by Zsolt on the final turning can. Paddling in I saw that Pat and Austin were already home along with the OC2 of the Bartletts who had started in the earlier group. For me it was a funny race and even after all the years of doing this stuff I am still learning things about these races. It was a great race by Pat to take the win, Austin second and Zsolt third all had a good day. I was super impressed with Kainoa on his OC1, I really enjoyed dicing with him over the closing stages and watching him work his art on that boat. All in all a fantastic event with some really great people. You know what I would love to see. 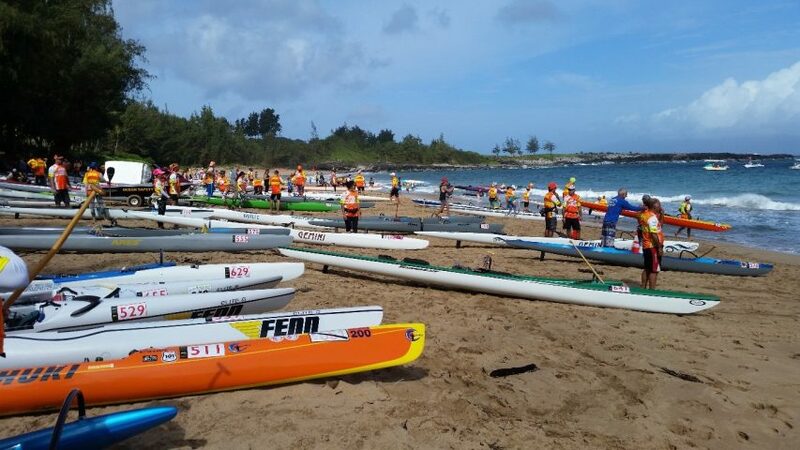 The OC and Surf Ski Races combining once again for Molokai. 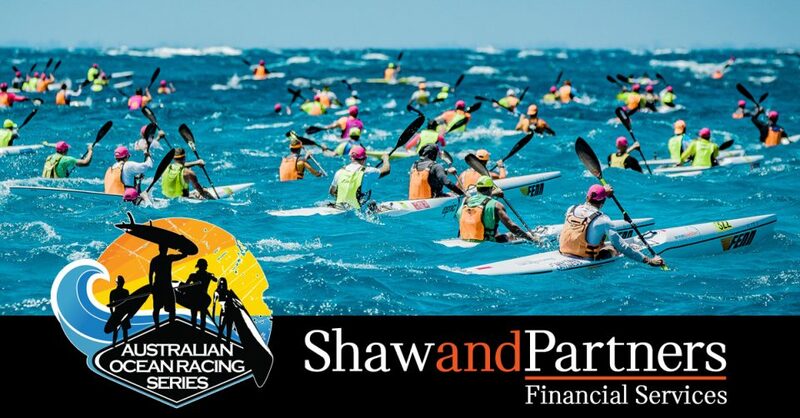 The Maui to Molokai being held the week before Molokai to enable the World Wide OC and Surf Ski Communities to race two amazing events over consecutive weekends. Well done to the organisers in testing conditions, well done to all those who raced. Especially well done to those that showed the courage not to race knowing that these conditions may have been too much for them and put others at risk who may have had to look for them in things went sour.